To meet the demands of the rapidly changing health care environment, lab information system can help today’s laboratory from clinical, financial aspects to addressing patient safety, productivity and regulatory requirements. The solution suite helps provide an adaptable, reliable and integrated approach across laboratory information systems, anatomical pathology, blood bank and financial systems along with supporting hospital, reference and hybrid laboratory business models of all sizes, from single site to multi-facility. Up to 80% of all diagnostic decisions are informed by lab test results as laboratory solutions are designed to reduce manual steps in the lab workflow, making information easier to share. Innovations, such as Radio Frequency Identification (RFID) tracking, are designed and offered to help with the clinician’s positive identification tasks, along the laboratory and health system workflow. Goldstein Research analyst forecast the lab information market size is set to reach USD 2.75 billion by 2024, at a CAGR of 7.25% over the forecast years. Growth of the global laboratory information systems market is mainly driven by the uptrend of per capita healthcare expenditure across both developed and developing economies. The report covers the present ground scenario and the future growth prospects of the Lab Information System market for 2016-2024 along with the data of total number of diagnostic labs and multispecialty labs worldwide. We calculated the market size and revenue share on the basis of revenue generated from major players across the globe. Lab Information System Market Outlook 2016-2024, has been prepared based on an in-depth market analysis from industry experts. The report covers the competitive landscape and current position of major players in the global Lab Information System Market. The report also includes porter’s five force model, SWOT analysis, company profiling, business strategies of market players and their business models. Global Lab Information System Market report also recognizes value chain analysis to understand the cost differentiation to provide competitive advantage to the existing and new entry players. 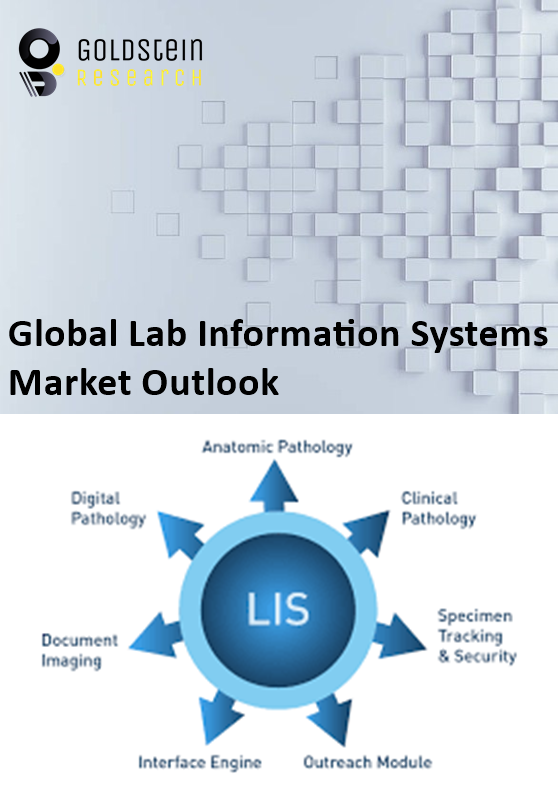 Our global Lab Information System Market report comprises of the following companies as the key players: CompuGroup Medical, Cerner Corp, McKesson, Evident, Medical Information Technology, LabWare, Sunquest Information Systems Inc., SCC Soft Computer, Epic Systems Corporation. According to the report, major driving factor for lab information system market is the major investment in advanced healthcare performance for example Infosys is offering healthcare analytics solutions on Microsoft Intelligent Cloud Technology. Healthcare industry is undergoing a paradigm shift largely due to consumerization and increasing costs and with the advent of advanced analytics in lab systems and cloud technologies, it is now possible to process, store and analyze large volumes of structured and unstructured datasets at a lower cost, which can yield tremendous benefits to various healthcare processes. Further, the report states the major challenge is the lack of trained professionals as it is anticipated that world will be short of 12.9 million health-care workers by 2035; today, that figure stands at 7.2 million due to the ageing health workforce with staff retiring or leaving for better paid jobs without being replaced, while inversely, not enough young people are entering the profession or being adequately trained. Based on geography, North America dominated the global lab information system market with the market share of 51% in 2016 followed by Europe owing to facilitate secure exchange of data between clinicians and systems and thus, protect overall patient safety and secrecy of medical records. APAC is expected to be the fastest growing and the opportunistic lab information system market for the vendors due to the increasing number of hospitals, clinics and private laboratories. Japan is the most dominating market after US due to the growing trend of designing, development and implementation of lab information system. What is the revenue of Lab Information System in 2015-16 and what would be the expected demand over the forecast period?